“There are no strange creatures, only blinkered people.” This beautiful message lies at the core of the latest film centring on JK Rowling’s Wizarding World. Similar to its predecessor Fantastic Beasts and Where to Find Them, released in 2016, The Crimes of Grindelwald follows the adventures of magizoologist Newt Scamander in the 1920s, seventy years before the era of Harry Potter. In the second instalment of the franchise, the story focuses on Gellert Grindelwald (Johnny Depp), the original dark wizard before Lord Voldemort, whose ambitious plot to empower pure-blood wizard families and encourage them to seize power over both wizards and muggles alike. Due to their history, Dumbledore (Jude Law), who is currently serving as the Defence Against the Dark Arts professor at Hogwarts, asks Newt (Eddie Redmayne) to assist him in his efforts to foil Grindelwald’s plans. As a result, Newt travels to Paris in a race against time: Grindelwald is searching for young Credence Barebone (Ezra Miller), believing that he can manipulate him and use his magical abilities to fulfil his shadowy deeds, and Newt must find Credence before it is too late. What seems like a relatively straightforward task becomes twisted with chaos, danger and heartbreak as Newt carries out Dumbledore’s wishes. Simply put, The Crimes of Grindelwald whisks audience members away on yet another fantastical journey all while managing to maintain the very heart and soul of the Harry Potter franchise that people have come to adore. Rowling takes readers back to Hogwarts and all it takes is a single shot of the great castle to evoke tears of nostalgia. Not to mention the fact that, once again, ‘Hedwig’s theme’ is embedded within the soundtrack. 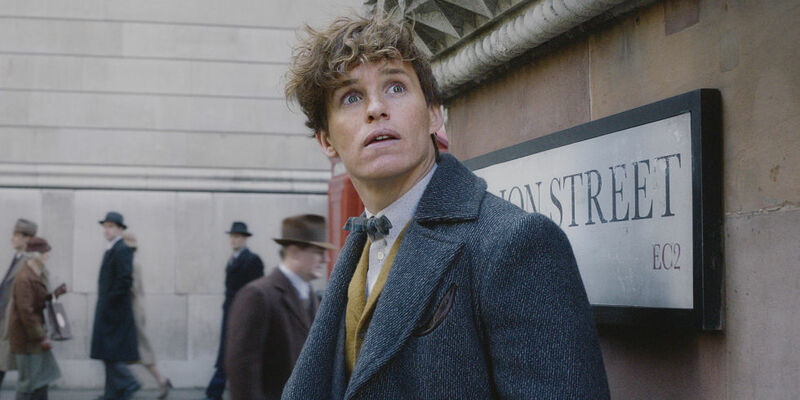 Scenes alternate between the main plot of Newt’s task, and the subplot which focuses on Credence’s own journey to uncover his true heritage, as well as introducing viewers to new fantastic beasts like the Kelpie and bringing back ones we already know and love, such as the Nifflers, and wholeheartedly expanding on Potter lore. Though JK Rowling’s newest hero is a bundle of shyness, bravery and kindness all with an adorable bow on top, he must find it within himself to stand against an unstable dark wizard when others chose not to. Despite such unimaginable circumstances, Newt is a relatable character just like Harry; having to deal with insecurities, jealousy, narrow-minded authority figures and the difficulties of the heart. The Crimes of Grindelwald sees the return of Tina (Katherine Waterston), Queenie (Alison Sudol) and Jacob (Dan Folger), as well as serving as an origin story for new characters such as Nagini (Claudia Kim), commonly known as Voldemort’s snake and final horcrux, Leta Lestrange (Zoe Kravitz) and Newt’s brother Theseus (Callum Turner). Needless to say, that all the newcomers to the Fantastic Beasts series fit in to the franchise seamlessly. Even veteran actors Johnny Depp and Jude Law, though rookies to JK Rowling’s world themselves, captivate viewers from the second they first appear onscreen and erase all doubt regarding their qualifications of carrying on the legacy of such iconic literary characters. Unlike the Potter films, Rowling’s story lines are inherently more complex, and she isn’t afraid to dive into the darker aspects much quicker this time, instead of slowly building up to it. All in all, Rowling is arguably one of the best storytellers of this generation, and these films just confirm how endless her imagination truly is. She is able to give viewers closure and bring about a whole new line of questions at the same time, which smoothly sets up the story for an inevitable third film. That’s correct, Mr. Scamander. Correct indeed.